Today I begin another item on my To Do List. Ack! What am I thinking? Well, I'm thinking I need a spark. 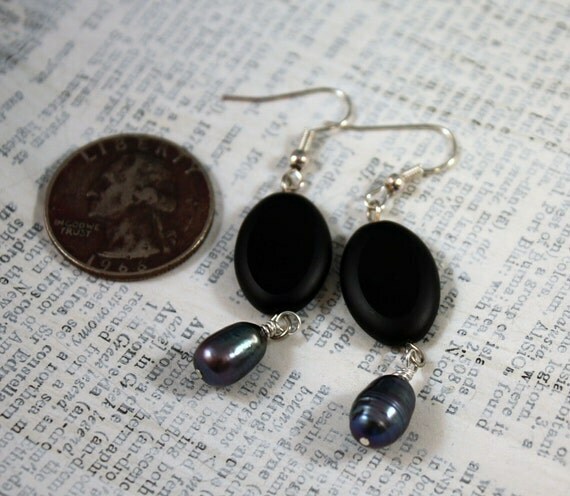 You see, while I was catching up on all the blog reading I missed while I was out-of-town, I stumbled on posts by my friend, Patty at My Life Under the Bus, and by Elisabeth at Beads for Busy Gals. 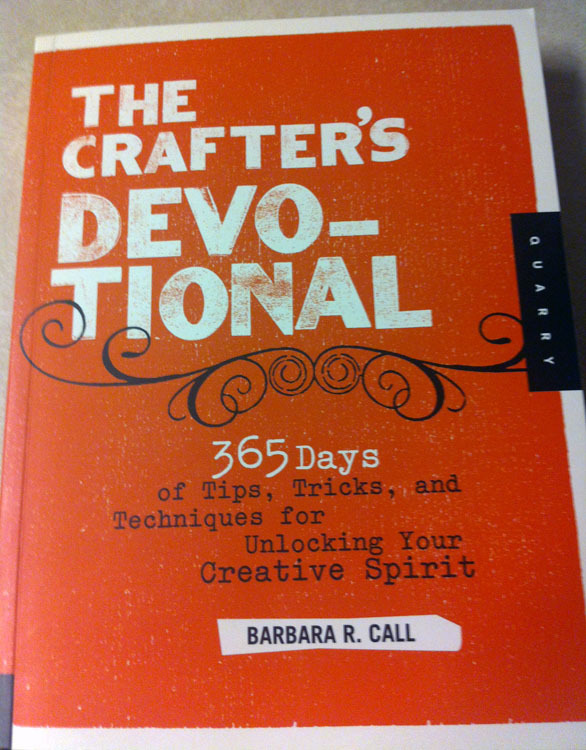 Apparently, their muse has been off her game lately too and Elisabeth had recently found The Crafter's Devotional by Barbara R. Call. They decided to use this book as a rallying point for a group of "like minded (semi-lost) souls, and host blog hops occasionally to see how everyone is doing." As soon as I saw their posts, I ran out of the house and to the bookstore to grab the book. As well, I've asked to be added to their list of semi-lost souls as I intend to play along. Elisabeth has a link at the top of her blog that will take you to the list of participants and some other information. 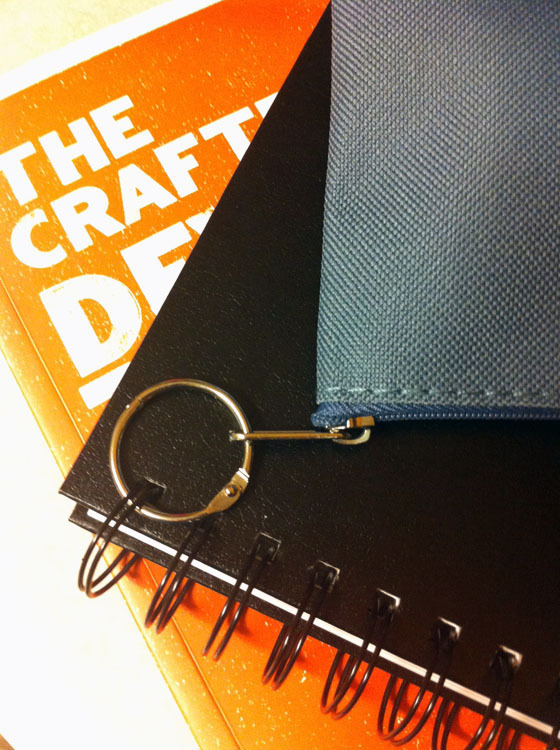 One of the first things you notice and learn about the book is that it advocates journaling. (I don't think I'm spoiling anything here. . .it says this on the back cover plain as day.) So I've made sure to gather some supplies to have with me for this part. 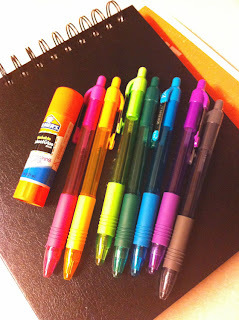 I actually had a mostly empty journal/sketchbook already, and I took a quick trip up to the store for some colorful pens (SCHOOL SUPPLIES!! They're on sale right now. I have a problem.) and a stick of glue for any collaging desires that possess me. In addition, I grabbed a cheap pencil case. With a book ring I already had, I've attached my supplies to my journal for easy travel. I'm all ready to go. . .now to actually DO the prompts and whatnot in the book!! Beyond that, it's Monday and I'm all ready with a meal plan for my week. 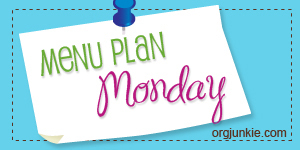 There's more Menu Plan Monday is at I'm an Organizing Junkie. I've got plenty to hop on today as you can imagine. How's your week looking? The shrimp tacos sound wonderful! I printed out the recipe but I'm sure our little grocery won't have the zaatar. Thanks for sharing!!! Hello, I'm stopping by from Organizing Junkie today. That's cool that a book has united crafters to get more inspired.